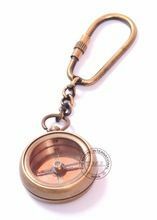 Nautical Brass Ship Compass Keychain. Made from pure Brass. 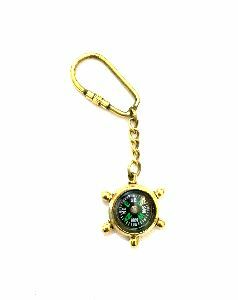 Nautical Brass Ship Wheel Compass Keychain. Made from pure Brass. 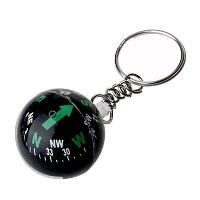 We have a vast range of Key Rings. 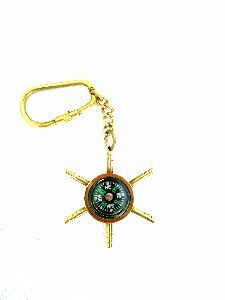 Our Keychains are made by using high quality raw material. 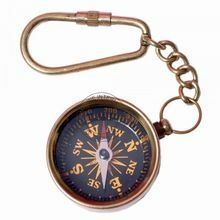 Our Keychains are made of Brass, Glass, and Wood & are antique, nickel & polished beautifully to make them awe striking. 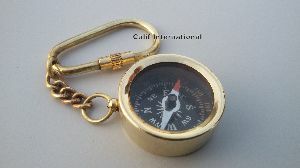 We do offer different sizes keychains and we make custom design keyring too as per the specification of the client.